Displaying double-sized characters on the 64x48 OLED graphics display. With double-sized characters the display allows 3 lines of five characters per line. 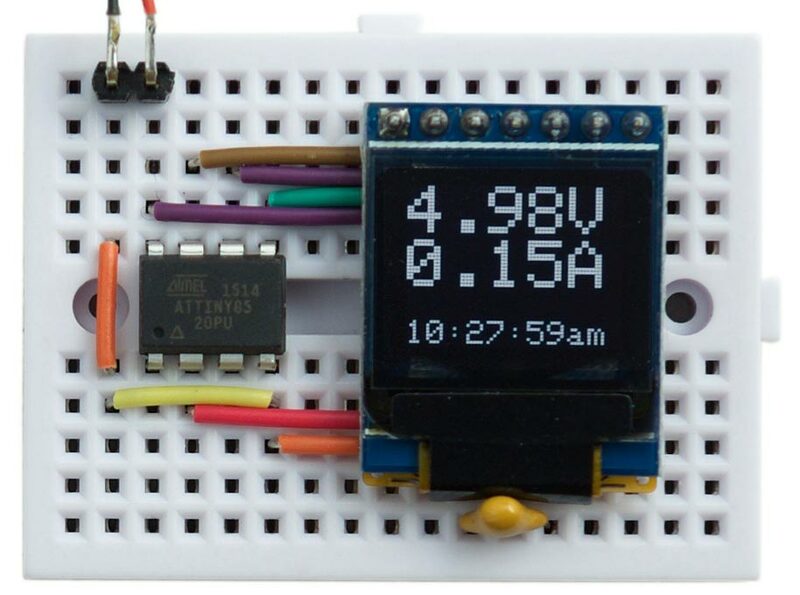 Here's the whole updated ATtiny85 Graphics Display program with the examples: ATtiny85 Graphics Display with Big Text Program v2. 3rd December 2018: Removed unnecessary initialisations for the display, since they were the defaults. ^ Warren Jr., Henry S. (2013) . Hacker's Delight (2 ed.). Addison Wesley - Pearson Education, Inc., p. 139-141.